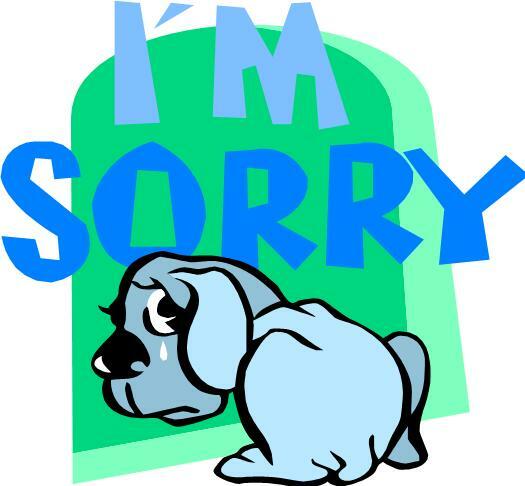 We hate to have to say we are sorry. It’s painful. Often we feel that it puts us down, It feels as if it reduces our power. It’s so much easier for us to feel righteous indignation. Yet, apologizing is one of the most powerful tools we have available to deal with conflict in our lives, followed closely on its heels by forgiveness. Conflict is inevitable. It is a part of our everyday lives. During the course of our days, we have lots of stories going on in our heads. These stories may be about who we are as compared to others, what we have as compared to others and what we want that other people get in the way of. All of this leads to conflict. As therapists know, conflict that is not dealt with productively has many negative consequences. Among them are anxiety, depression, frustration, inability to concentrate, increased illness, increased stress, and loss of sleep. With this depressing list, we can see how important it is to deal with the conflict that arises on a daily basis. Where, then, does apology come in to play? Sooner or later, in the throes of conflict, we will all say or do something that offends or hurts another person. Whether or not the harm we cause is intentional, we will need to do something to repair the relationship. If we try to negotiate with someone who is hurt or angry, their feelings (and ours) will get in the way and derail the negotiation. It becomes difficult to get the relationship back on track because our feelings interfere with rational judgment. The hurting must be resolved before any positive conversation can be had. The good news is that when we acknowledge where we have fallen short, take responsibility for it, show that we have a sense of guilt and are truly sorry, and repair the damage to the best of our ability, we open a door to greater power in our lives and reduced stress in our lives. We become a bigger person. We are mediating a divorce. The parties have dug in their heels. It looks a lot like an impasse. 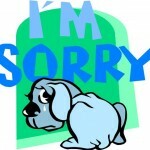 All of a sudden, one of the parties offers an apology and everything changes. It is true that mediation is about reaching agreement. And it’s about more than that. It’s about recreating the relationship between the parties –restoring a good relationship that previously existed, helping people to create a better future, letting go of anger. Many people who come to mediation are not looking for compensation in the form of money. Their number one need is to hear an apology. In divorce mediation, where the parties often have a long history of anger and non-cooperation, an apology can be the determining factor in whether the parties create a good parenting plan and reach agreement on dividing their assets. As mediators, our job is to meet the parties where they are and lead them gently to where they can begin to once again experience the best that they are. Apology plays an important role in that.